On 20th September 1944 during the battle of Arnhem Lance-Sergeant Baskeyfield of the South Staffords 1st Airborne Division was the NCO in charge of a six-pounder anti tank gun in Oosterbeek. The Germans attacked this sector with infantry , tanks and self propelled guns seeking to overrun the battalion. During the early part of the attack Baskeyfield and his crew destroyed 2 Tiger tanks and a self propelled gun as Baskeyfield calmly commanded his men to let each tank come within 100 yards before firing. During this engagement Baskeyfield was wounded in the leg and the rest of his gun crew killed or badly wounded. Refusing to be carried to the first aid post the Lance Sergeant continued to man his gun and shouted encouragement to the troops in nearby trenches. The second phase of the German attack was more intense with mortar and shell fire, but Baskeyfield continued to fire his gun at the enemy tanks keeping them at bay. When his gun was finally knocked out he crawled to another six pounder whose crew had been killed and manned that alone crippling a self propelled gun with two hits until a shell from a German tank killed him. 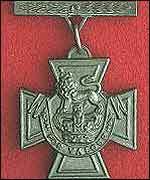 For his actions Lance-Sergeant Baskeyfield who was originally from Stoke on Trent was awarded the Victoria Cross, one of two won by the Staffordshire Regt during the battle of Arnhem. 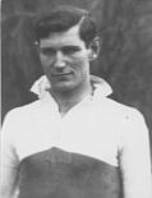 He was 35 years old, and a Temporary Major in The Royal Northumberland Fusiliers, British Army, attd. The South Staffordshire Regiment when the following deed took place for which he was awarded the VC. Lieutenant Grayburn was a platoon commander of the 2nd Parachute Battalion which was dropped on 17th September 1944, with the task of seizing and holding the bridge over the Rhine at Arnhem. The north end of the bridge was captured and, early in the night, Lieutenant Grayburn was ordered to assault and capture the southern end with his platoon. 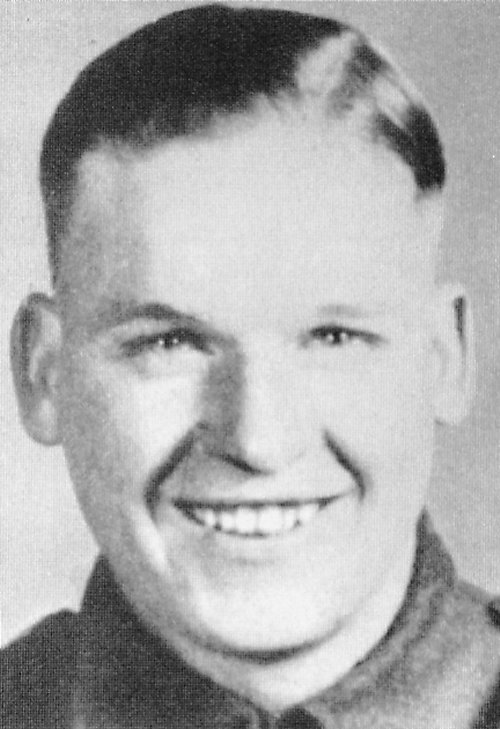 He led his platoon on to the bridge and began the attack with the utmost determination, but the platoon was met with a hail of fire from two 20-mm, quick-firing guns, and from the machine guns of an armoured car. Almost at once Lieutenant Grayburn was shot through the shoulder. Although there was no cover on the bridge, and in spite of his wound, Lieutenant Grayburn continued to press forward with the greatest dash and bravery until casualties became so heavy that he was ordered to withdraw. He directed the withdrawal from the bridge personally and was himself the last man to come off the embankment into comparative cover. Later, his platoon was ordered to occupy a house which was vital to the defence of the bridge and he personally organised the occupation of the house. Throughout the next day and night the enemy made ceaseless attacks on the house, using not only infantry with mortars and machine guns but also tanks and self-propelled guns. The house was very exposed and difficult to defend and the fact that it did not fall to the enemy must be attributed to Lieutenant Grayburn's great courage and inspiring leadership. He constantly exposed himself to the enemy's fire whilst moving among and encouraging his platoon, and seemed completely oblivious to danger. 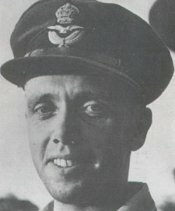 On 19th September 1944 the enemy renewed his attacks, which increased in intensity, as the house was vital to the defence of the bridge.All attacks were repulsed, due to Lieutenant Grayburn's valour and skill in organising and encouraging his men, until eventually the house was set on fire and had to be evacuated. Lieutenant Grayburn then took command of elements of all arms, including the remainder of his own company, and re - formed them into a fighting force. He spent the night organising the defensive position to cover the approaches to the bridge. On 20th September 1944 he extended his defence by a series of fighting patrols, which prevented the enemy getting access to the houses in the vicinity, the occupation of which would have prejudiced the defense of the bridge. This forced the enemy to bring up tanks, which brought Lieutenant Grayburn's position under such heavy fire that he was forced to withdraw to an area further north. The enemy now attempted to lay demolition charges under the bridge and the situation was now critical. Realising this, Lieutenant Grayburn organised and led a fighting patrol, which drove the enemy off temporarily, and gave time for the fuses to be removed. He was again wounded, this time in the back, but refused to be evacuated. Finally an enemy tank, against which Lieutenant Grayburn had no defence, approached so close to his position that it became untenable. He then stood up in full view of the tank and personally directed the withdrawal of his men to the main defensive perimeter to which he had been ordered. He was killed that night. From the evening of 17th September until the night of 20th 1944, over a period of three days, Lieutenant Grayburn led his men with supreme gallantry and determination. Although in pain and weakened by his wounds, short of food and without sleep, his courage never flagged. There is no doubt that, had it not been for this officers inspiring leadership and personal bravery, the Arnhem bridge could never have been held for this time. His body was later recovered from further down the river. In Holland on September 19th, 1944, Captain Queripel was acting as Company Commander. When advancing on Arnhem, heavy and continuous enemy fire caused his company to split up on both sides of the road, and inflicted considerable losses. Repeatedly crossing and re-crossing the road under sustained and accurate fire, Captain Queripel not only immediately re-organized his force, but carried a wounded sergeant to the Regimental Aid Post, and was himself wounded in the face. Nevertheless he personally lead an attack on the strong point blocking their progress, and killed the occupants, thereby enabling the advance to continue. Later, Captain Queripel found himself cut off with a small party. Although by then additionally wounded in both arms, he continued to inspire his men to resist until increasing enemy pressure forced him to order their withdrawal. He insisted on remaining behind to cover their retreat with pistol fire and hand grenades, and was not seen again. During nine hours of confused and bitter fighting Captain Queripel unceasingly displayed gallantry of the highest order. His courage, leadership and devotion to duty were magnificent and inspiring. On 24th March 1945, Corporal Topham, a medical orderly, parachuted with his battalion on to a strongly defended area east of the Rhine. At about 1100 hours, whilst treating casualties sustained in the drop, a cry for help came from a wounded man in the open. Two medical orderlies from a field ambulance went out to this man in succession, but both were killed as they knelt beside the casualty. Without hesitation and on his own initiative, Corporal Topham went forward through intense fire to replace the orderlies who had been killed before his eyes. As he worked on the wounded man he was himself shot through the nose. In spite of severe bleeding and intense pain, he never faltered in his task. Having completed immediate first aid, he carried the wounded man steadily and slowly back through continuous fire to the shelter of a wood. During the next two hours Corporal Topham refused all offers of medical help for his own wound. He worked most devotedly throughout this period to bring in the wounded, showing complete disregard for the heavy and accurate enemy fire. It was only when all casualties had been cleared that he consented to his own wound being treated. On his way back to his company he came across a carrier, which had received a direct hit. Enemy mortar bombs were still dropping around, the carrier itself was burning fiercely and its own mortar ammunition was exploding. An experienced officer on the spot had warned all not to approach the carrier. Corporal Topham, however, immediately went out alone in spite of the blasting ammunition and enemy fire, and rescued the three occupants of the carrier. He brought these men back across the open, and although one died almost immediately afterwards, he arranged for the evacuation of the other two, who undoubtedly owe their lives to him. This N.C.O. showed sustained gallantry of the highest order. For six hours, most of the time in great pain, he performed a series of acts of outstanding bravery, and his magnificent and selfless courage inspired all those who witnessed it. On 19th September 1944 at Arnhem, the British 1st Airborne Division were in desperate need of supplies. Flight Lieutenant Lord, flying Dakota KG374 through intense enemy anti-aircraft fire was twice hit and had one engine burning. He managed to drop his supplies, but at the end of the run found that there were two containers remaining. Although he knew that one of his wings might collapse at any moment he nevertheless made a second run to drop the last supplies, then ordered his crew to bail out. A few seconds later the Dakota crashed in flames with its pilot.